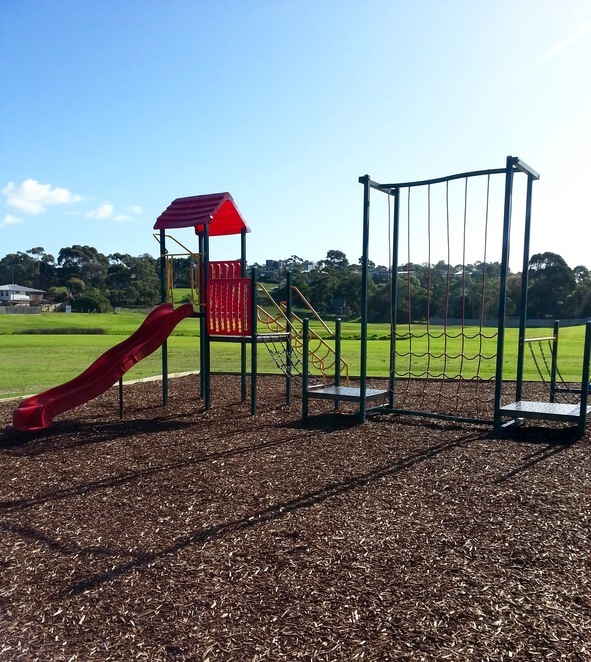 Lake Avenue Reserve Playground is a great little playground and picnic area, located within a short walking distance from the popular Blue Waters Lake Reserve. There's a good range of play equipment for both young children and older children. 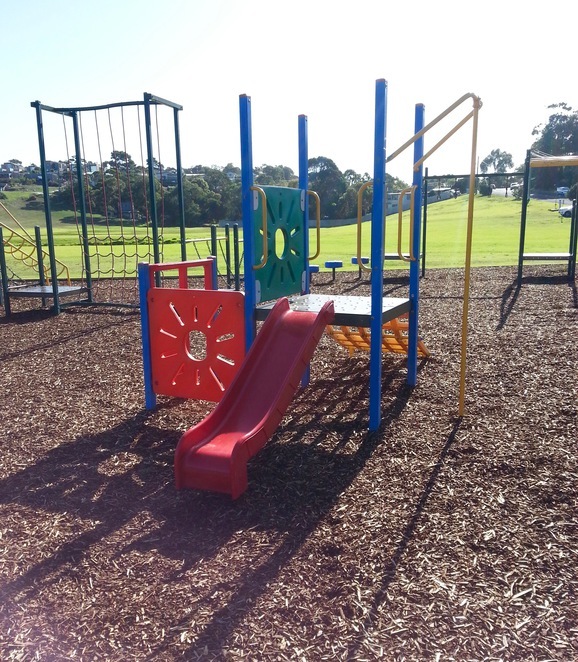 The Equipment includes two sets of swings (each set has 2 swings), slides (one large and one small), monkey bars, rope climbing frame, fireman's poles and more. The playground equipment is situated on pine bark, but is surrounded by a large grassy area, which is ideal for kicking a ball. There is also a small concrete area, with a basketball hoop. 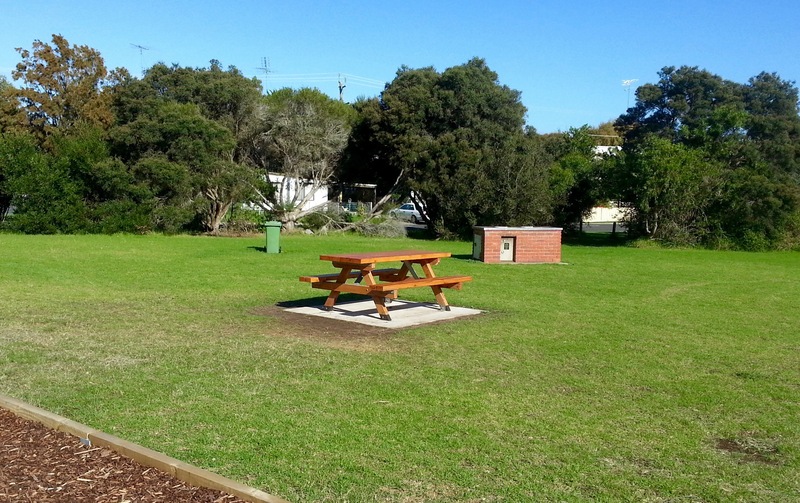 Just behind the play equipment, there is a barbecue, picnic tables and a rubbish bin, making it a great place to have a picnic lunch. The reserve area is usually very quiet, as it's located away from the main roads and shops, and the "hidden away" location also means that it's often much less busy than some of the other parks in Ocean Grove, which is a bonus. 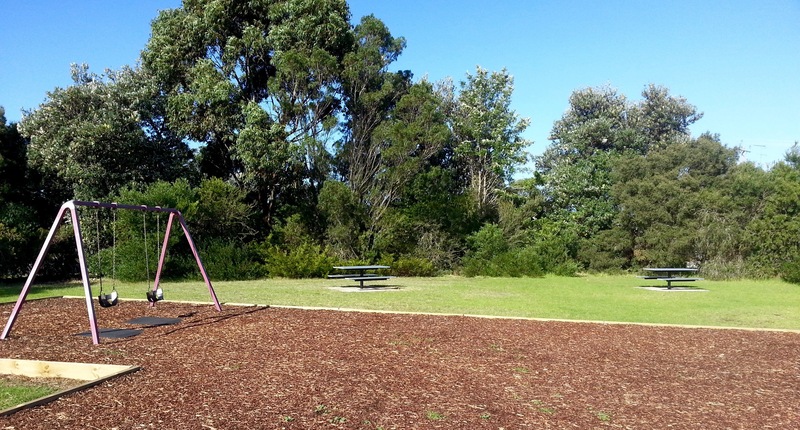 Parking: There isn't a designated car park, however there is a grassy area just across the road, near the entrance to Blue Waters Lake Reserve walking track that is used for parking. Safety: While there are some trees forming a partial border around part of the reserve area, the park is unfenced and there are roads and a creek nearby, so if you have young children or children that wander, you'll need to keep an eye on them.